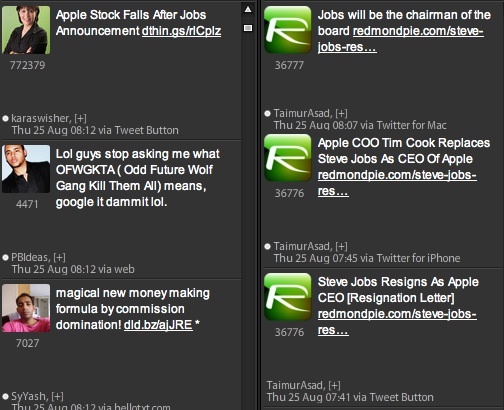 Home »Unlabelled » [HOT NEWS] - Steve Jobs resigns from Apple - Social Media Goes Crazy with the news. 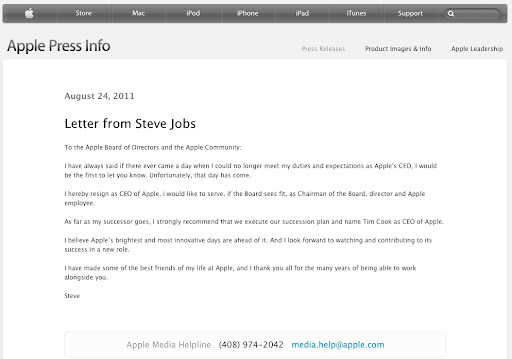 [HOT NEWS] - Steve Jobs resigns from Apple - Social Media Goes Crazy with the news. Finally the time has come when Steve Jobs unable to continue become the CEO of Apple. Facebook updates, Tweets, G+ updates and Blogs just go crazy with the news today. Here’s the excerpt from his Letter of resignation. CUPERTINO, Calif.–(BUSINESS WIRE)–Apple's Board of Directors today announced that Steve Jobs has resigned as Chief Executive Officer, and the Board has named Tim Cook, previously Apple's Chief Operating Officer, as the company's new CEO. Jobs has been elected Chairman of the Board and Cook will join the Board, effective immediately. 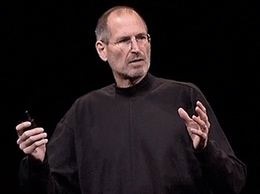 "Steve's extraordinary vision and leadership saved Apple and guided it to its position as the world's most innovative and valuable technology company," said Art Levinson, Chairman of Genentech, on behalf of Apple's Board. "The Board has complete confidence that Tim is the right person to be our next CEO," added Levinson. "Tim's 13 years of service to Apple have been marked by outstanding performance, and he has demonstrated remarkable talent and sound judgment in everything he does. As COO, Cook was previously responsible for all of the company's worldwide sales and operations, including end-to-end management of Apple's supply chain, sales activities, and service and support in all markets and countries. He also headed Apple's Macintosh division and played a key role in the continued development of strategic reseller and supplier relationships, ensuring flexibility in response to an increasingly demanding marketplace.